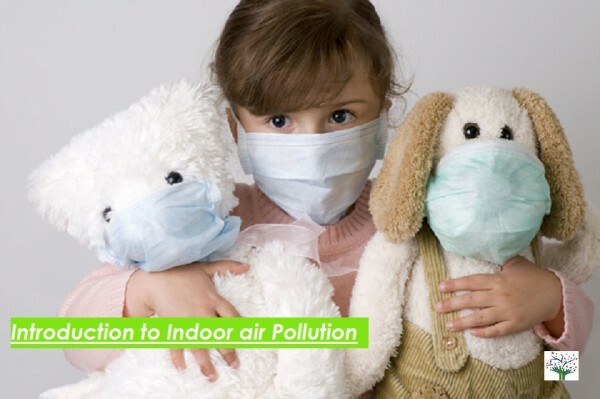 Indoor air pollution can be defined as chemical, physical and biological contamination of indoor air. In simple words indoor air pollution is the contamination of indoor air due to incorporation of substances (pollutants) which are not natural constituents of indoor air. Indoor air pollution is a silent threat to the life. You are most likely to get sick from pollution in your home and office than pollution in the air. Clean and fresh air is one of the basic amenities for survival of life on earth. Air is a matter of life and death. It helps to maintain continuous balance between inspiration and expiration. Yet indoor air quality is often neglected. We all are well versed with the outdoor air pollution. With its sources and effects it can have on human health and environment. But, we all are not so familiar with indoor air pollution. Today, an average person is said to spend 90% of his time inside buildings (indoors).Indoor air pollution is a problem for all types of homes, whether in dense urban cities or rural villages. 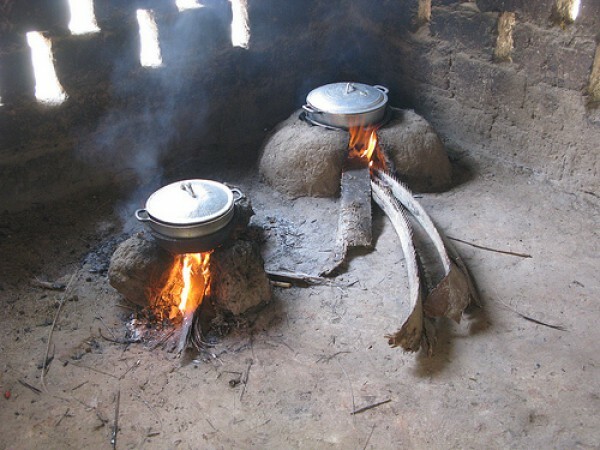 Gaining knowledge about different types and sources of indoor air pollution is one of the stepping stones in eliminating indoor air pollution. Depending upon the infrastructure, geographical location, the type and sources of indoor air pollution is bound to vary. So, let’s first take a look at the types. 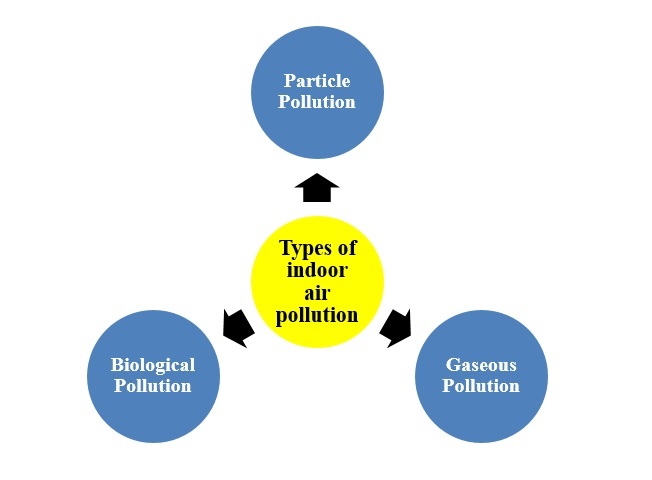 Indoor air pollution can be classified into three types based upon the sources of its pollutants. These are tiny suspended particulate matter in air and commonly include pollutants such as pollen, dust, smoke, dander (skin flakes). The particulate matter diameters of these pollutants are measured in microns and they range from 0.001 to 1000 microns. In this type of indoor air pollution, microbial agents such as bacteria, germs, viruses, fungi, spores and molds forms the base for pollution. Indoor odours and gases are another agents which play role in indoor air pollution. In this type of indoor air pollution; the pollutants involved are benzene, Volatile organic compounds (VOCs), formaldehyde, chloroform, hydrogen sulphide, ammonia, etc. 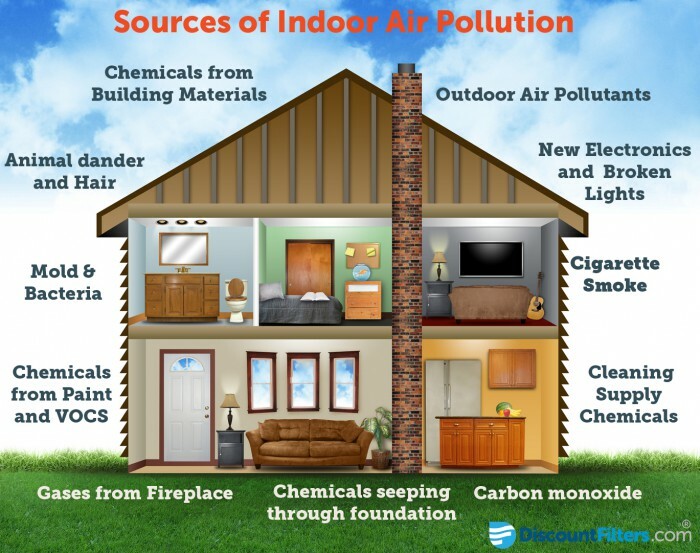 All these types of indoor air pollution have different characteristics and hence to eliminate the pollution you first need to know and identify the type of indoor air pollution and then target the major sources of pollutants. To be able to target the source of pollutant, you should gain knowledge about the different sources. So, now let’s take a look at the Indoor air pollution sources. There are plenty of pollutants which pollute the indoor air. Most of these pollutants and their sources have been summarized in the following table. Indoor air pollution is considered as a complex issue in terms of toxicology and health risk assessment. There are many different types of pollutants which may give rise to combined effects. Read more about how to improve indoor air quality. Below are some interesting facts on indoor air pollution to understand importance of indoor air pollution. Air pollution is one of the major reason of early deaths of young adults in world. The worst air quality we experience every day is most likely to be in our living room. As per EPA, poor indoor air quality is risk to mankind. Indoor air is 100X times more harmful than compared to outdoor air. We normally spend 12-18 hours indoor i.e. 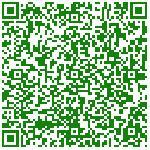 homes, office, shopping malls, restaurants, etc. Major reasons of indoor air pollution are poor ventilation, air fresheners, chemicals, dust, traditional method of cooking food, etc. 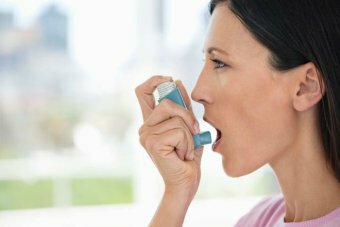 The people e who suffered asthma, lung cancer, allergies because most likely they have exposed to poor air quality for longer period. As per NRDC use of air freshener for longer period can cause asthma, respiratory sensitivity in babies and children. We should restrict use of air freshener in homes and schools. We offer indoor air quality monitoring testing services for homes and Offices. Inkjet printers are as harmful as Air fresheners. Because they release chemicals like glymes in the air which are very harmful for developmental and reproductive damage. It is better to have your photos or documents printed at the stores. As we all know that smoking is very dangerous for our health and Second-hand smoke is even worse. It is known that it contains more than 600 types of poisons. It also includes carcinogenic chemicals. Second-hand smoke severely affects infants and children increasing risk of asthma, ear infections, etc. With this knowledge gained we all have crossed our first stepping stone towards a cleaner, fresher and healthier indoor environment.